eXplorerkid E! hub @ Downtown East Reopens! 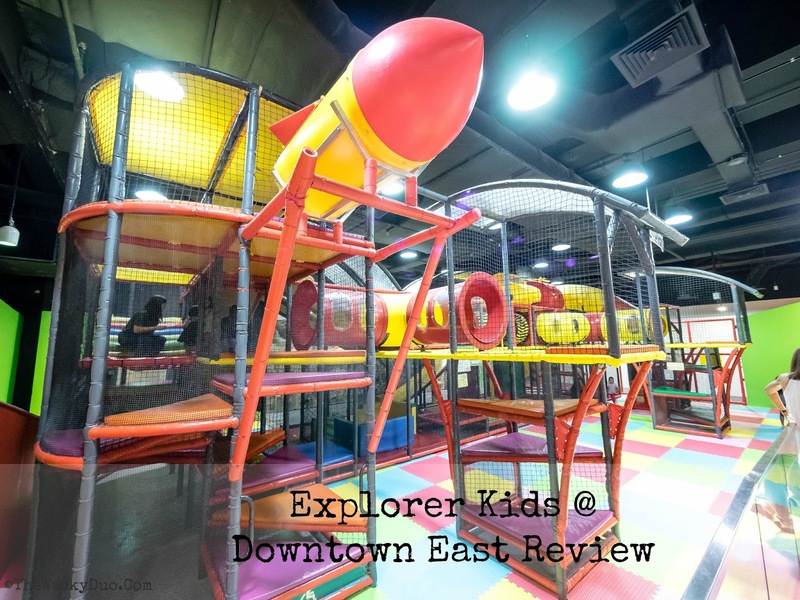 Explorer Kids reopens in Downtown East. The last time we were there, it was during Halloween 2014. I remembered at that time it was one of the largest indoor playground in Singapore. Since than, it had undergone a makeover in order to keep up with the times. 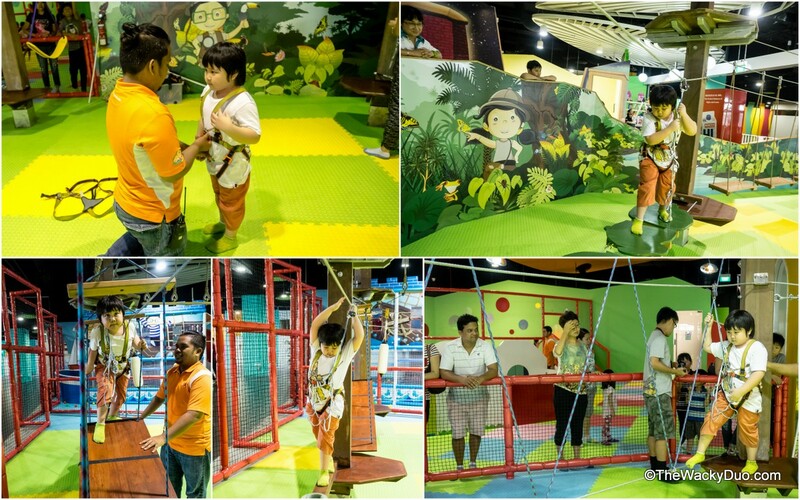 The first play area you would see as you step into eXplorerkid would be the Sand Play session. Using kinetic sand, this is a great mess-free way to play with sand indoors. Needless to say this non sticky sand is a hit amongst the kids. With building moulds provided by the playground, building a sandcastle is as easy as 1-2-3. The Mega Play is as it is when we last visited. The main change will be the new padded floors. Otherwise it still prove to be a hit with the kids. Why change a good thing when it is well maintain? If your child wants to be a mountain climber, the cliff is where you would start to practise. It is the same structure as it is in the past. Compared to other play area, this is underutilised as it is hidden behind the Mega Play area. For toddlers, the toddler play section has a generous play area. The area is meant for kids age 4 and under. However when we were there, this rule was not strictly enforced. Here you can find a mini boat play structure,toddler rides , tree slides and some padded play blocks. Overall this must be one of the larger toddler's area that we had seen in Singapore. There are spaces for kids to ran about and it is very will padded. The popular lit ball pool area was a hit in the old eXplorer kids, The lit ball area is still area but it has since scaled down in size. In addition to that, a smaller ball area is there for younger kids. Another unique area at eXplorerkid would be the Adventre Highland. This is an obstacle course that both kids under 110cm and above 110 cm can enjoy! The older kids will be tackling the obstacles above while the lower one is meant for younger ones. This feels like a mini obstacle course you can find in outward bound school. For kids who can't wait till secondary 3 to head to OBS, eXplorerkid will be your next best bet. The lower section is actually a new addition to the playground. Judging from how Little Lou tackle the course, it can be a little challenging as well as a great confidence booster. Adventure Highland is not included in the admission fee . It cost $5.50 per circuit run. There are two new rooms for those looking to host a birthday party at eXplorerkid. Basic and different themed party packages are available for different needs and group size. Do check with them to fund out more. As for parents, there are no area within the playground that allows you to take a break. It is a waste though as a cuppa of coffee would be great while waiting for the kids when they play. Instead there is a TV corner that parents can use to 'chill'. The corner is probably meant for kids, but given the limited space to sit, adults might just invade it. There is also a nook for arts and craft. These cost extra to participate. A nursery for mothers can be found in the playground. The space is small but it works. It would be great is they can replace the plastic chairs with a more comfortable sofa instead. For toilets , they are now found outside the playground instead. While we were there , the public toilets were still under renovation. For your shoes, it is actually house 'outside' the playground. There is space for a few strollers and lockers for rental. So what does it cost to have a good time at eXplorerkid? If you are staying around Pasir Ris or having a staycation at D'Resort, a visit to eXplorer kids would be a welcome treat for the kids. Overall the eXplorerkids may have shrunk in size but it has up the ante with more play stations. Kids age 10 and below would be most suitable for this playground. 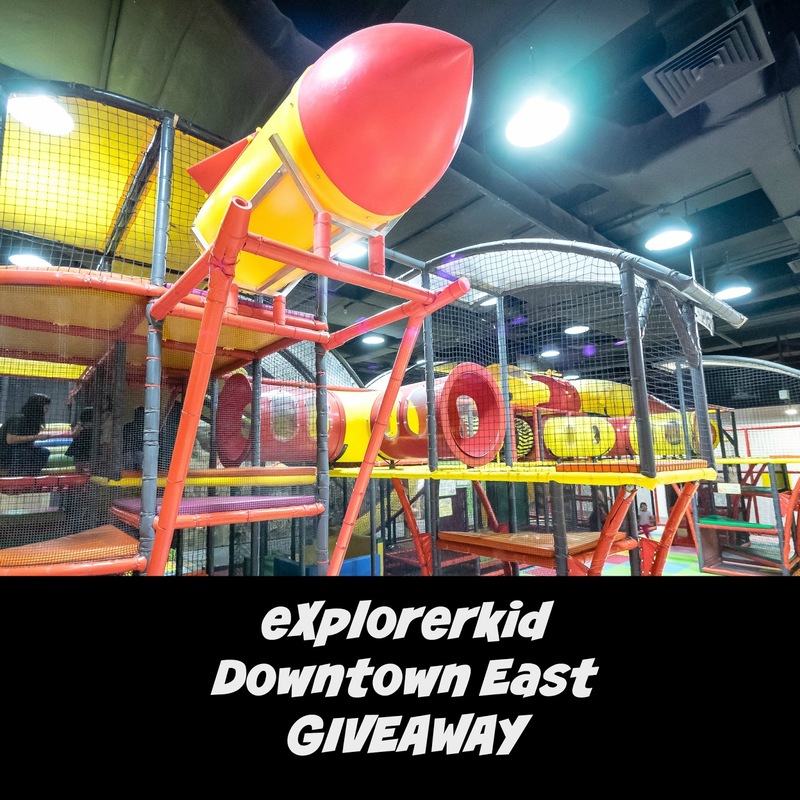 To let you experience the playground, we will be giving away 2 pairs of 2 x w hour freeplay vouchers for use at eXplorekid E!hub outlet at Downtown East for 2 winners. 2) Follow us on Instagram and Facebook to double your chance of winning. Results will be out on 18th March on this post. Winners are to response via email by 21st May with Full Name, contact number and mailing address. Thereafter prizes will be mailed to you. Prizes are valid for one month. Do note that prizes will be send via normal mail and TheWackyDuo.com will not be liable for lost mail. Alternatively, you can opt for registered mail with a $3 payment. This is a Media invite. All opinions are of our own.